I admire the Canadians. They’re a resilient, resourceful people with a long and proud reputation of overcoming adversity. Whether it be thriving in the barren wilderness of the North, co-existing with man-eating bears or having to live alongside French Canadians, they always seem to make the best of the difficult circumstances the Gods have dealt them. KickMoto in Halifax, Nova Scotia continue this long trend of Canuck determination by producing this tidy little café racer. 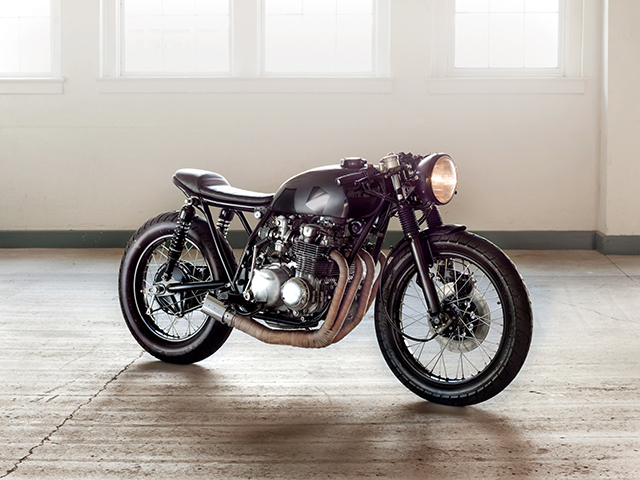 It’s their first commissioned build and if the quality of this 1978 Honda CB550K is anything to go by, it certainly won’t be their last.